MB International Media and Publishing House (MBIMPH) is an international publishing organization that publishes textbooks, atlases, monographs, e-books, reference books, magazines, conference proceedings and peer-reviewed journals in scientific, technical, and medical areas. MBIMPH initiated its journey by publishing UTTAR PRADESH JOURNAL OF ZOOLOGY, which published its first issue in 1981. As an innovative Publisher, MBIMPH is helping to move science forward. MBIMPH is passionate about working with the global academic community to promote best scholarly research to the world. With the help of academic Editors, based in institutions around the globe, MBIMPH is able to focus on serving authors while preserving robust publishing standards and editorial integrity. 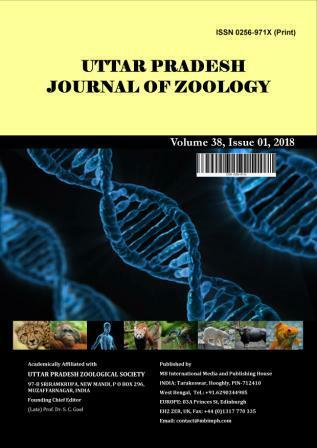 UTTAR PRADESH JOURNAL OF ZOOLOGY (Print ISSN: 0256-971X) aims to publish high-quality papers in any branch of ZOOLOGY or Animal Biology (it includes studies of the animal kingdom, including the structure, embryology, evolution, classification, habits, and distribution of all animals, both living and extinct, and how they interact with their ecosystems.. It also includes Anthrozoology, Arachnology, Archaeozoology, Bionics, Cetology, Embryology, Ethology, Helminthology, Herpetology, Histology, Ichthyology, Malacology, Mammalogy, Morphology, Nematology, Ornithology, Palaeozoology, Pathology, Primatology, Protozoology, Taxonomy, Zoogeography, Zoography, Zoometry, Zootomy, etc.). This journal considers following types of papers. This journal also encourages the submission of useful reports of negative results. 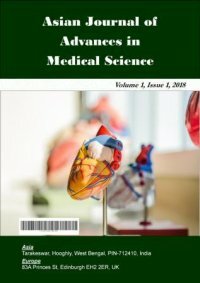 This is a peer-reviewed, subscription-based INTERNATIONAL journal. UTTAR PRADESH JOURNAL OF ZOOLOGY (Print ISSN: 0256-971X) was founded by late Prof. Dr. S. C. Goel. UTTAR PRADESH JOURNAL OF ZOOLOGY is academically affiliated to UTTAR PRADESH ZOOLOGICAL SOCIETY, 97-B SRIRAMKRUPA, NEW MANDI, P O BOX 296, MUZAFFARNAGAR, INDIA. 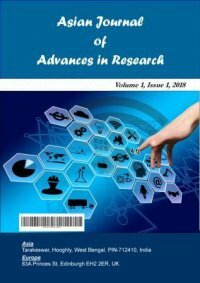 This journal is published by MB International Media and Publishing House (MBIMPH) from 2017 (Volume 37). Copyright @ 1981-2019 MB International Media and Publishing House. All rights reserved.